free (12 years old and younger, one per paid adult lift ticket). ALL IN will excite skiers across the globe. Follow the crew from the lift-accessed terrain of Snowbird to the dream worlds of Japan and Alaska amplified by a soundtrack that will be on everyone’s ski playlist next year. This film is light on story, high on action and full of fun loving personality. 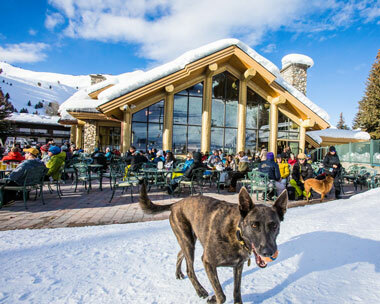 Sun Valley’s 83rd winter season. All the traditional Thanksgiving fixings! Turkey, mashed potatoes, vegetables, salads, desserts. Prices do not include alcohol. Online price includes service charge and taxes. Tickets may be purchased online or at the Sun Valley Guest Information Center. Gretchen’s | 11:00 am – 9:00 pm / Thanksgiving special served all day Enjoy the full offering at Gretchen’s on Thanksgiving with herb-roasted natural turkey breast, whipped Idaho potatoes, gravy, cornbread and sausage stuffing, cranberry chutney, buttered green beans and hot dinner rolls. Open regular hours for a la carte menu. The Austrian-inspired restaurant will have Thanksgiving specials and their regular menu. Signature Holiday Supper with roast turkey, sage sausage stuffing, mashed Idaho russet potatoes, gravy, sweet potatoes, green bean amandine. Full menu will also be available.